Mamba and I "chillin".. he's still hanging out on the cool side of his tank. Took him out for a bit and he feels pretty cool to the touch. He's eating great and no health issues that I can tell. Does your bp feel cool/cold to the touch? He's telling you that he wants you to take him to Salt Lick for BBQ. are you in Austin? Man that sounds delicious! What a beauty, love his bright color. 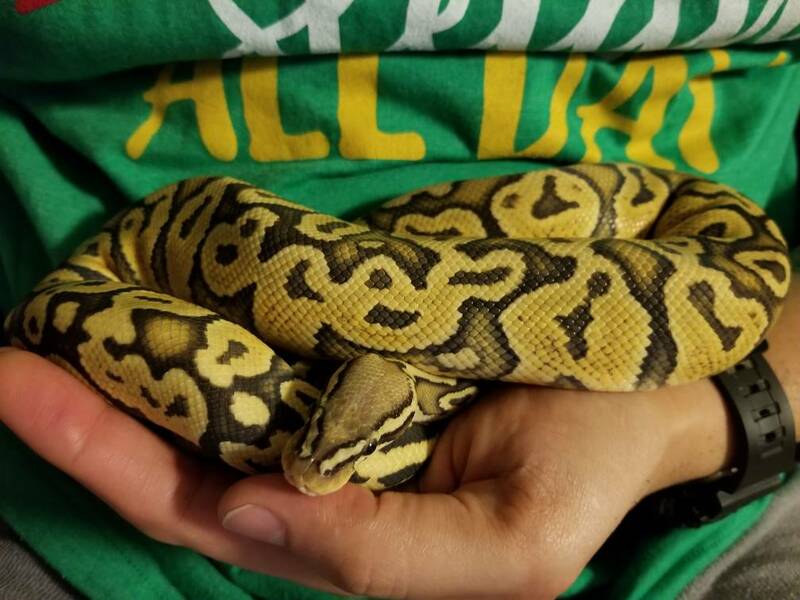 For the most part all of my snakes feel cool to the touch. Very rarely have they ever felt particularly warm, but never as warm as my hands usually run. Ok good. He has felt warm before, but that's when he's been laying on the warm side above the UTH. And let me add quite beautiful indeed! Last edited by Sonny1318; 01-10-2019 at 10:01 PM.